Beyond the interesting General Sessions and the very nice different keynotes I want to highlight some announcements, Breakout Sessions and Hands-On Labs that I really enjoyed. It was actually my first VMWorld so I didn’t manage to get a lot of Breakout Session but also checked the Solutions Exchange with all the different vendors and providers of very useful solutions like NetApp, RedHat, IBM and Veeam, just to name a few. VMWare announced that they have acquired Kubernetes startup Heptio, which was founded by the co-founders of Kubernetes Craig McLuckie and Joe Beda. With this acquisition VMWare will get more weight in the development of the upstream Kubernetes and will establish their role as a leader in the cloud native market. And… ESXi runs on a Raspberry Pi! Read more from William Lam here. My expectations were absolutely met. The presenters Duncan Epping, Frank Denneman, Niels Hagoort and Sahan Gamage did a great job in showing the essential technical stuff. I am really excited to read the book I got. More information about the book is here. This was really a Deep Dive and blowed my mind. I can really recommend the Best Practices paper to anyone that could not attend this session. You will get the paper here. This one was really useful and informative for people installing and maintaining vSphere environments with or without NSX. David Garcia showed some very useful troubleshooting tools like tcpdump-uw and pktcap-uw. I have tested most of the Getting Started and a few Kubernetes, Pivotal and NSX-T Labs and really had fun. Thanks to all preparing and writing these labs. Hope to see most of them in official Hands-On Labs. Thank you VMWare for a interesting and awesome VMWorld 2018! Tell me want you think about this years VMWorld I would love to hear from you. 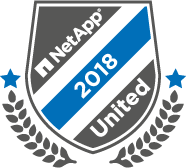 I am glad to tell you, that I have made it again to the NetApp United Team for at least one year. Congratulation to all the new and existing fellows. 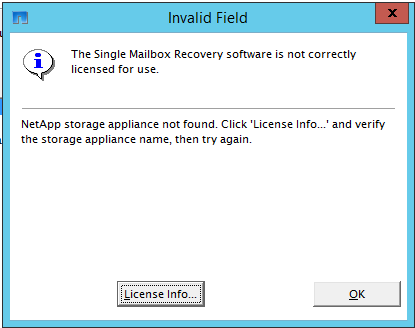 and your Storage Virtual Machine does not work as a “Storage appliance name” input on the “License Info” page? SnapCenter is a newly designed data protection solution made by NetApp. It provides a centralized, unified and easy made interface for protecting VMs, applications like SAP HANA, file systems and databases like SQL and Oracle. SnapCenter manages SnapShots and SnapVault/SnapMirror relationships. Additionally it has RBAC (role based access control) and remote plugin installation features. What’ new in SnapCenter 3.0? Additional there is ONTAP 9.2 support as well as automatic migration from SQL Express/internal SQL Server to MySQL and many other enhancements. Don’t forget the community plugins for DB2, MySQL and MongoDB (coming soon) or write your own little Plug-in. What I really like about SnapCenter 3.0 is that most of the features from SnapCreator are now fully included in SnapCenter (SAP HANA, Oracle). Secondly and most important IMHO is that VSC for Backup can now finally be lifecycled with SnapCenter 3.0. There is more coming in the future like Exchange Server or community based Plug-ins, so stay tuned! 6/21/2017 09:56:49 cluster01-01 ERROR vldb.aggrBladeID.missing: The volume ‘cluster02_svm1_root’ is located on the aggregate with UUID ‘3b61c6fd-b6d7-4d5f-9168-81b12632581c’ whose owning dblade UUID ‘cce2f293-3bd4-11e7-85ef-a1f0d21750d7’ does not exist in the Volume Location Database. Does anyone had the same problem recently? Thanks for commenting that. 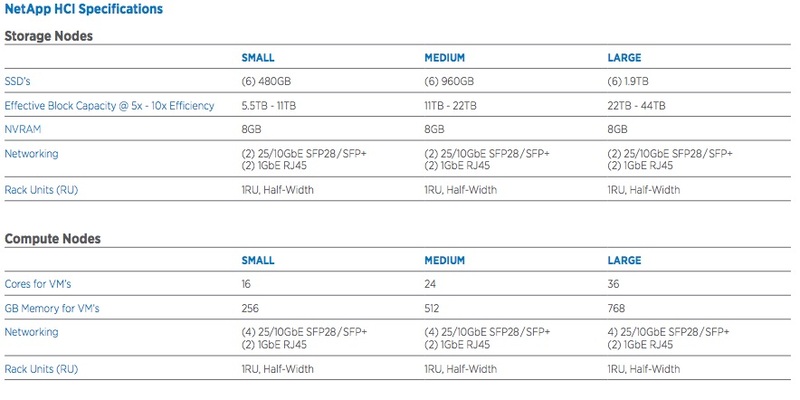 Normally I don’t do postings about Product Releases or New Features of a product but this one I really want to share with you because this is a huge change to the world of HCI (Hyper Converged Infrastructure). 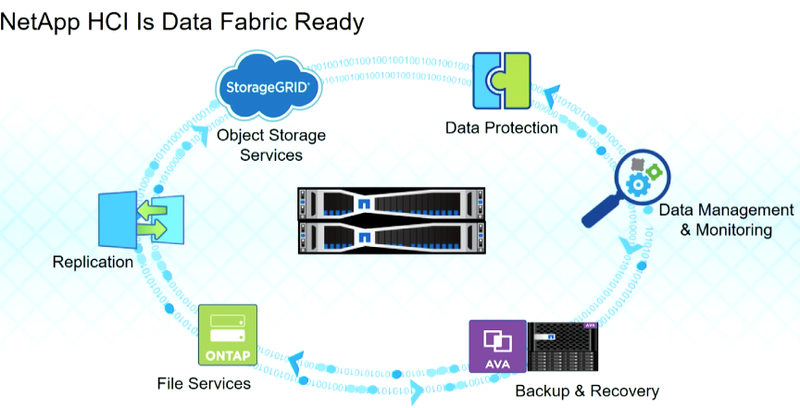 On 5th June NetApp announced the new HCI product which integrates into the NetApp Data Fabric. 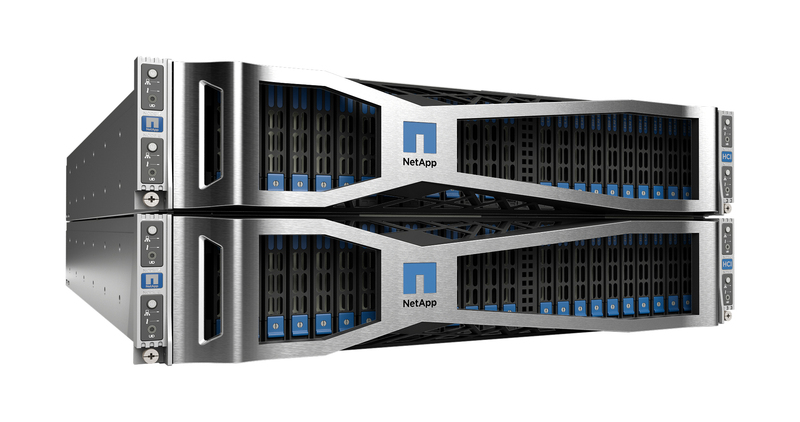 The NetApp HCI blocks ar based on VMWare vSphere Compute Nodes and SolidFire All-Flash Storage Nodes. Each block has a total of 4 Nodes. But what does it make special and what’s the killer feature of this product? As I already mentioned each block has 4 Nodes. You can also unite multiple boxes with the 25GbE/10GbE links and get more Storage/Compute power. The Datastores are attached with iSCSI. If you want to have the familiar OnTap feeling, just deploy an OnTap Select instance and you will get the whole bunch of CIFS, iSCSI and NFS power for your environment.